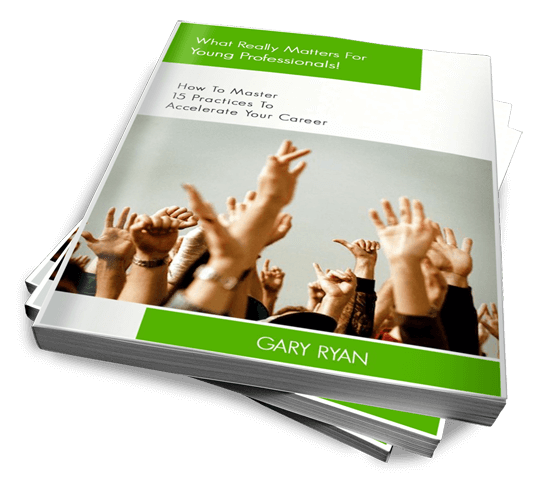 Interviewed by Dr Andrew O’Brien, Gary Ryan, author of the new book What Really Matters For Young Professionals!, shares insights on each of the 15 practices featured in the book. 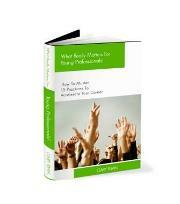 This interview includes practical tips to enable you to accelerate your career. If ‘Everybody’s doing it’ does that make it okay? To me, leadership starts with yourself. If you can’t lead yourself, then you are going to struggle to lead other people. As we have seen with Brian Waldron many people would have considered him successful up until Thursday afternoon. After all he had guided the Melbourne Storm through a period of apparent on-field and off-field success. This story highlights that there are consequences for not taking a stand for doing what is right. It may be true that if Melbourne Storm had played according to the rules then they may not have won their (now lost) premierships. We will never know. We do know that their brand has been damaged and two major sponsors have already cancelled their arrangements with the club due to the clash of values that has come to the surface as a result of this exposure. If you have ever wondered whether there is a financial cost for lacking integrity in business, here is your proof! This is why I always laugh when people talk about developing the ‘soft skills’ of management. To me, the so called ‘soft skills’, which include acting with integrity, are the hardest skills to master, which is why so many people struggle to properly develop them. The term ‘soft’ somehow suggests that they are easy. Nothing could be farther from the truth. To me leadership starts with doing what is right from a personal point of view. This means that many people will never know when you have shown true leadership, because the vast amount of leadership takes place when no one is looking. I suspect that there are a lot of good people at the Melbourne Storm who possess high integrity. While this must be an extraordinarily difficult time for them I suspect that many will stay to rebuild the club’s integrity. In many ways, providing the people running the club at all levels honestly embrace the opportunity that they have before them, they could use this terrible event to create an organisation of the highest order. On many levels I hope that they can. Today many thousands of people will wake up feeling betrayed and disgusted by the behaviour of a small number of people. Michelle Hunt from www.dreammakers.org suggests that leadership involves a serious meddling in other people’s lives. Many people will have their reputations tarnished simply because they work for the Melbourne Storm. If that doesn’t highlight the serious impact that poor leadership can have on other people, then I’m not sure what does! On the morning of Thursday 22nd April 2010 I was compelled to add a comment to an article posted on the The Age website. I was unaware of the Melbourne Storm issue that was to unfold later in the day. The article was titled, “Congratulations you’re a manager….now what?“. I was drawn to the article because it mentioned a series of tips for first time managers. However, one of the sentences in the article’s introduction caused me some concern. The sentence was, “Is honesty always the best policy when managing up?”. I thought to myself, “Why wouldn’t it be?”. If you are honest when managing up and you got into trouble for that, then my view is your organisation is not worthy of your commitment and you have a choice to make. The ‘war for talent’ still exists so if you have a strong and clear sense of your values and a good work ethic, then my view is that you have choice regarding where you work. Working for organisations that aren’t worthy of you commitment is therefore a choice. To me preparation to become a leader starts well before a formal leadership role in an organisation is offered to you. It starts with becoming clear about your values and practicing them every day in all your life’s roles. Vision without an understanding of your values can lead to behaviour, such as systematic cheating, that is inconsistent with the vision. I don’t know the motives of the senior Melbourne Storm administrators for their behaviour. I do know that conscious development and mastery of your personal values takes time and is important for people to have mastery of their values before they commence formal leadership roles. It is my view that not enough people are clear about their values and how they are reflected in their behaviour at work. Are you clear about yours? Gen Y – we are in safe hands! Sometimes I hear people of my generation (Generation X) or from the Baby Boomers complain about Generation Y. “They aren’t like us”, they bemoan. “They simply aren’t committed to anything other than themselves!” they complain. Well, Gen Y aren’t like us. That is okay because they shouldn’t be. Otherwise we’d be stuck in some sort of time vortex. However, Gen Y are committed, very committed to helping to create a better world. Just like the older generations, there are sufficient numbers of committed Gen Ys who are there ‘having a crack’ at creating a better world. And they are doing it right now. I have the evidence of this because I am lucky enough to be able to work with them and the student projects that I have described above are practical examples of Gen Y hard at work. So, Gen X and Baby Boomers, don’t worry, our future is in safe hands! Expertly interviewed by Dr Andrew O’Brien, Gary Ryan provides the background to the book and explains the key concepts that the book addresses. * What are ‘Employability Skills’?